Hello Frndzzz.... www.dealsnloot.com Again Back With New Paytm Loot. 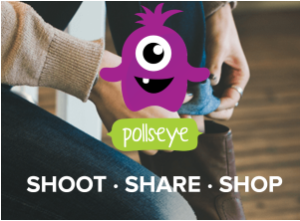 Pollyeye is new app which has come up with its “Refer and Earn” program in which you will get Rs 10 paytm cash on downloading this app through a referral link and then you can refer your friends to earn unlimited paytm cash. Hurry up and be a part of this offer ! How to earn free paytm cash from Pollseye app ? How to refer friends on this app ? 4. You and your friend both will get Rs 10 in pollseye wallet. 2) Go & Do Signup For Twitter Account. 3) It’ll Ask You For Mobile Number to Verify Your Account. 4) Enter OTP Sent to Your Mobile & Verify Account. 5) Now Again Go For Signup & Verify New Account With Different Mobile Number. 6) Use Alternatively 5 Numbers Again & Again to Loot Pollseye Unlimited. 7) Now Open Your Referral link in youwave or bluestacks & download app and signup with twitter acc. 8) after successful signup hard reset youwave or change guid, android id of bluestacks & repeat the process.